What will the XXIst-century organization look like: A network, a nebula, or a process-based system where everything is standardized and measured? How can these two cultures, these two ways of producing and of innovating, work together? And, since education seems to have changed far less than most of society, how can we prepare for a world where we all learn continuously and ubiquitously? Geoff Mulgan is Chief Executive at Nesta, a funding body for science, and talks about Openness and collective intelligence, its prospects and its challenges. According to him people have different perspectives on networks. People predicted networks would lead to big brother states and corporations and fascistic organizations, whereas other said it would flatten hierarchies. The truth is, networks do both. We need to learn how to navigate the balance of openness and closure. Next he focuses on some methodological solutions to make progress in solving the problems mentioned above. One is social innovation camps, another is I do ideas where you people can get a grant not by filling in a grant request form, but by posting a video. He uses some Hegelian thinking to frame the problem. If “Hierarchy” is the “Thesis” and “Open Networks” are the “Antithesis”, then what is the “Synthesis”? There are testing out the model by means of a Global Innovation Academy with pilots in many countries. He leaves us with his advice on what we need. We need fast and slow, we need always on, but also often off and we need open as well as closed. He doesn’t have the answer on how to do these things and realizes we are in a time of heavy experimentation. 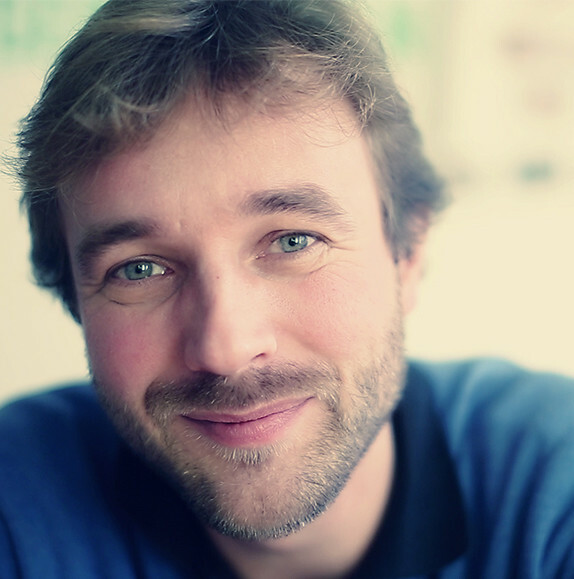 Edial Dekker is the CEO of Gidsy a marketplace for authentic experiences. He is of Hack de Overheid (Hack the government) fame. His talk is titled Trusted networks and the rise of the micro-entrepreneur. According to Edial we are in trouble: we are in the slowest economic recovery since the 30s, we will run out of natural resources and we are at peak globalization. He sees all kinds of initiatives that are trying to tackle these problems from the bottom up and are getting a lot of traction. Examples are The School of Life or How to Homestead, a community that tries to help you become self-sufficient, or the Betahaus a very successful makers-lab in Berlin. He could give endless examples of empowering technologies allowing people to share resources in a different way. Currently he is raising money for his start up. The question that always comes up from investors is: “How big is your market?”. He didn’t really know how to answer that question. So he asked his advisers at Etsy who told him that when they started there was no market for handmade items. They created a market that wasn’t there before. Jyri Engeström invented the concept of “Social objects” to describe this. The final speaker in this track is the Finnish Ville Keränen, a “geek and learning designer” at Monkey Business (check out their site, the tag line is “More action. More chaos. More mistakes. More learning.”). He must be the best branded speaker of the event, taking his sun-glassed banana everywhere and wearing yellow pants. His talk has the title: From Team Academy to the future: Building organizations for humans. He first asks us to get up and give each other a “tender and dynamic greeting”. Some key concepts from the team academy: you enter the academy and start a company with a team of people on day one (even without a business idea). There are no simulations, only real projects. There are no lectures, but there is lots of dialog. There are no teachers, but team coaches instead. There are no exams, only team companies. There are no grades, but real clients. One of the goals is to make a trip around the world with the money you have made (if you made enough money). There are few learning principles behind the team academy. Learners learn what they want to learn (constructivism). Learning is always situational and contextual. Learning is social and happens in a community. I believe that in my company we are relatively good at the second principle, but have a lot to learn about the first and third principles. Team Academy is now expanding rapidly. Their challenges are currently how to lead a global network, how to think big and how to expand to domains outside of business? One thing that they are doing well is capturing the excess capacity of their students.